Do you have troubles in understanding foreign language? Well, there is an iPhone app called Worldictionary to help you. 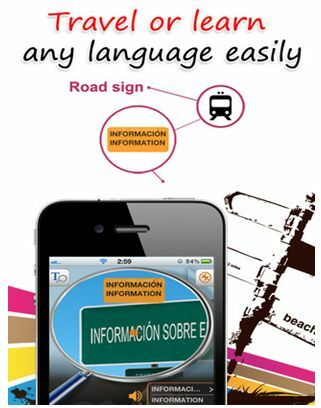 Worldictionary is an iOS app from Penpower Inc which provides instant translation to foreign language just by pointing your iPhone camera. The instant “View and Translate” function lets you to get translation for your words in fraction of seconds. 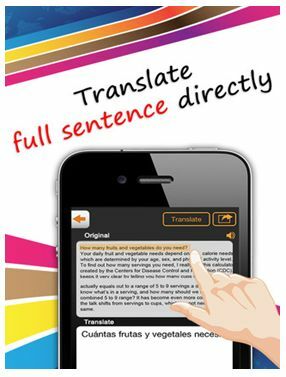 Simply point your device camera and get translation instantly. Worldictionary recognizes 21 different languages ranging from Traditional Chinese, Simplified Chinese, English, Japanese, Korean, French, German, Italian, Spanish, Portuguese, Dutch and more. To ensure best image quality to scan words, Worldictionary is loaded with anti-shake function to capture images perfectly. With Worldictionary, you can also get translation from images also. For a full sentence and detailed translation take a snap of the sentence and then look one by one. Another impressive feature of the Worldictionary app is the “Advance Search” function. You can expand your search results in Google, Wikipedia and in YouTube. Though manual entry of words is not required, Worldictionary support words to be entered manually. Additionally Worldictionary supports pronunciation of different languages. Worldictionary saves your search history automatically and you can build your own word database. You can also make in-app purchase. There are two languages Chinese-English and Chinese – Japanese for $1.99 each. Worldictionary is a perfect travel companion who often travel out of their native borders. Worldictionary can be a handy tool to understand foreign languages. Worldictionary is available in iTunes store for $3.99 only and it requires iOS 4.2 or later.